After everything that’s happened, after everything we’ve learned — about the shooting in North Miami, about Arnaldo’s month-plus stay in the psych ward, his placement at Carlton Palms, about the torture and deaths there and about Ken Mazik’s business empire built on the disabled — what did it take to get Arnaldo into a new group home? Greed. It all started when Carlton Palms asked the state for more money for Arnaldo’s care. They were getting around $220,000 a year, they wanted about double that. Said he needed eight people around him at all times, otherwise they couldn’t work with him. The state wasn’t about to buy that. So Carlton Palms sent Gladys a discharge letter. To be clear, he wasn’t graduating from Carlton Palms, he was being kicked out. Next, his pro bono therapy consultant, Nikki Keefer, went on the search for another residential facility for him. She found a fancier new group home opening up in Orlando, which meant she had to petition the state for, yes, more money to fund Arnaldo’s placement there. Then they had to wait for the new group home to get licensed. Had to find the right staff for it, experienced behavioral therapists. And, finally, over two months later, the new home packed up Arnaldo, his jeans and grey sweatshirts and tote bag of toys, and moved him in. Nikki Keefer’s really excited about the new place, what it can offer Arnaldo. Just three guys will live there, but right now it’s just him. They promise more immersion in the community, more direct attention to Arnaldo’s needs. His own room with his own bathroom. Nikki told me about it over lunch. Nikki Keefer: He needed behavioral programs, training programs written for him where somebody worked with him on a daily basis, communication programs and that’s what he’s going to have now. I feel really confident. I thought his sister Miriam and his mom Gladys might be more excited, they are relieved he’s out of Carlton Palms. Gladys’ health is better. But they’re realists. The group home’s even farther from their house in Ocala than Carlton Palms was, but they’re still making the visit every Sunday. Audrey Quinn: So how — how are these visits different than at Carlton Palms? Miriam Rios Soto: They’re not different. [laughs] He’s still in a group home and he’s still far away from us. We’re trying to see, we can move near him. We’re in Miriam’s car again, Gladys in the passenger seat. I’m sitting in back between tupperwares of homemade Puerto Rican food. They’d rather Arnaldo could live with them, or ideally have his own place where the therapy comes to him. That’s the big hope if Arnaldo wins his civil rights suit against the city of North Miami, to be able to fund that. But for now they’re still completely reliant on Florida’s disability agency, and this new group home is the best the solution it’s offering them, so they at least are planning to move closer to it. Somewhere in Orlando. AQ: I notice Gladys puts her hands on your arm when you guys talk like that. MRS: She put my hand — she put her — because she agrees, she started clapping like a seal! Moving, is what they do. Gladys and Miriam have gone all over the country to get Arnaldo services and be near him. Puerto Rico to Miami, Miami back to Puerto Rico, Puerto Rico to Texas, Texas back to Miami. And after the shooting, from Miami to Central Florida, Ocala. Gladys has stopped working, Miriam cut her nursing degree program short, left her whole social life, dating prospects, has since had to jump from job to job. MRS: I’m having this conversation with her because she wants me — I’m 30-years-old and she wants me to get married and get kids. She wants grandkids. AQ: Two, you want two. MRS: Mami, that is — I don’t think that’s like a menu that you order, you know what I mean?! MRS: I don’t even have a man! You know what I’m saying? But the thing is that I don’t — if I am not happy, and if I am not well, I cannot be in a relationship. I cannot do that. And I need to see that my brother and her are doing well in order for me to move on with my life. I’m not gonna leave her behind with all these you know — all this stuff going on and be like, ‘Well good luck, that’s your son’ and leave, it doesn’t work like that. 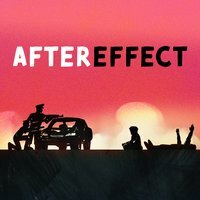 You’re listening to Aftereffect. I’m Audrey Quinn. This is our final episode. We’ve followed Arnaldo from the shooting in North Miami backwards to his struggle through the schools, group homes, and psych wards growing up. Looked at the way police and hospitals have become the de facto service providers for developmentally disabled people. How that system deprives people of agency. And we’ve followed Arnaldo on to Carlton Palms. Now, we’re on our way to visit him in his new home. Where are we leaving him? And what does this say about the system he depends on, that system millions of developmentally disabled people and families across the country depend on? GS: Hola. How are you, papi? ‘Naldo! Arnaldo Rios Soto: Good boy!! We meet him in the entry hall of the group home. It’s a nineties-style stucco one-story with a big oak tree outfront, in a spread-out subdivision. Three staff members, are there, always are, basically for backup if a meltdown goes really bad. Arnaldo’s more wide-eyed than I’ve ever seen him. He seems on edge. GS: You look so handsome! GS: Oh look at that! MRS: 'Naldo. Who am I? MRS: Que paso? Who am I? MRS: No. Que paso? Who am I? MRS: Is he okay? He’s like, awake. GS: Que paso, mi amor? Miriam notices he seems different too. Arnaldo’s eyes search all around. I’m struck by the size of the house. Four bedrooms. Big front room with a dining table. Big open kitchen in the middle. All the pictures on the walls fit a tree theme. You’d think just a typical upper-middle-class family lived here, until you notice how the flat screen TV in the living room’s behind a plexiglass cage. How all the walls are protected by a white plastic panel up to chest height. The video cameras in every room. On their last visit, Arnaldo had shown Gladys a picture of an Optimus Prime action figure, the Transformer robot superhero that turns into, of course, a truck. Asked her for it. Today she’s brought him one, as a surprise. GS: Mira, listen, listen to me. I have a surprise for you. GS: Yes. Come here. Come come. Come on come on. One. Two. Three. GS: [gasps] Hey. Hide that in your pocket! He looks a little blankly at the action figure, turns out it’s not the model he was hoping for. But he still smiles at Gladys, and in the excitement of the moment, does something he never did on my other visits. Talks directly into my microphone. Arnaldo is on. He mimics a sports announcer. ARS: Listen [unclear] Optimus Prime. Miriam is already on it. Sitting at the dining room table, scrolling through her phone in search of the right model. She finds a match…shows it to Arnaldo and Gladys. ARS: You did it! Yes! Yessss! MRS: You like it, this is the one? MRS: Five points for big sister. That’s the one! It’s only 10 bucks and it has free shipping! GS: She found it, she found it! YES! Arnaldo’s waving his hands in a windshield wiper motion. I look at the three of them, ecstatic over tracking down the correct vintage of an action figure. There’s not a whole lot they can actually do for Arnaldo. They can’t control where he lives. They can’t control who takes care of him. Or what those people do for…or to him. They can never know whether or not he’s safe. But track down the proper Optimus Prime action figure and give him some excitement? Some happiness? This they can do. They got this. The two male behavioral assistants have retired to the couch in the front room...stare at their cellphones, nap, one gets up to shoot hoops in the backyard for a little while. The woman stays with us, talking, cleaning the kitchen, pulls up the Finding Nemo sequel on the TV. MRS: Oh, you are finding Dory again? Okay. Woman: You wanna watch it over, Arnaldo? The staff woman holds up the remote, starts to rewind. Arnaldo still doesn’t have a computer here, doesn’t get a lot of chances to watch movies the way he likes to. By watching the same clip over and over. He’s watching the TV over her shoulder, tries to direct her to the right spot. ARS: Look. Finding Dory. Look look! LOOK! STOP STOP STOP!! MRS: Wow he really is into it. She’s come to the scene he wanted…I’ve never seen Arnaldo this animated. To anyone else he might sound a little threatening in this moment. But Miriam’s impressed. With both Arnaldo and the behavioral assistant. MRS: She has the patience to like — when he gets like that. Not a lot — not a lot of people have that patience. Miriam appreciates it, the woman’s making an effort to understand what Arnaldo wants. That’s big. “Arnaldo is like our family, basically,” the woman tells me. Miriam and I learn they’ve been taking Arnaldo on small trips — Burger King, Cold Stone Ice Cream, an arcade. Super normal stuff but that’s the point, Miriam says he wasn’t getting out much at Carlton Palms. The day-to-day here definitely seems better. But this being a group home, Arnaldo still doesn’t get to decide who he lives with, and his services provider is still also his landlord. Meaning if he or his family doesn’t like what he’s getting, the only option would be to move again. Gladys starts unpacking her tupperwares of Puerto Rican specialties in the kitchen. Rice, slow-cooked beef with peas. She insists we all sit at the dining room table while she brings it out. MRS: Where’s your food, in your belly? AQ: Arnaldo, I’m gonna take a seat next to you, is that okay? AQ: You pulled on my shirt, do you want me close to you or does that mean you — you don’t want me close to you? The behavioral assistant woman is watching us. AQ: So does that mean he doesn’t want me near? Woman: No. It’s just part of the — maybe a cartoon. She seems at ease with the not knowing. And while I’m still trying to figure him out, Arnaldo swings around to talk directly into the microphone again. ARS: YES! YES! [unclear] WEEE! AQ: I’m doing well, how are you doin’? ARS: I’m doing — Optimus Prime!! AQ: You’re doing Optimus Prime. I notice something, in the corner of the room…what looks like a black gymnastics mat, three-fold, leaning against the wall...I’ll find out it’s on-hand in case the staff does a “takedown procedure” with Arnaldo. Pretty standard group home protocol. Not a wrap mat, but it still just looms there. So much seems better about this place. But they’re still ready for Arnaldo to be violent, and are ready to meet that violence with force. GS: Are you okay, you happy? GS: Okay. A little more. After following Arnaldo’s story for the last nine months, a few things have stuck with me. About Arnaldo, and about the way this country treats developmentally disabled people. First is just how close this family is. Miriam and Gladys and Arnaldo are like their own perpetual motion machine, when it seems like there should be no energy left, they just keep building each other up. MRS: You need to eat. They can take any normal activity, lunch time, and use it as a way to show love to each other. MRS: You need to eat? GS: I don’t finish with Arnaldo. MRS: Okay. She eats after Arnaldo eats. GS: Did you want more? Do you want more? Gladys and Miriam have built their lives around being there for Arnaldo. They’ve given up jobs, they’ve given up friends, they’ve given up relationships…And it’s easy to think that this extreme caring just goes one way, but it doesn’t. I remember something Arnaldo’s lawyer Matt Dietz told me when I visited him in Miami. Matt said after the shooting, Arnaldo’s top concern was Gladys. Making sure she was safe. The second thing that’s stood out to me, is the work involved in figuring out what Arnaldo wants. He doesn’t say it the way most of us are used to, and that can make his desires a lot easier to ignore. For the people caring for him, and, for journalists like me. The autistic self-advocate Lydia Brown pushed me on this back in episode three. LB: — Because if he did, then by all means, share and discuss them. But if he did not, either you need to go back and get that consent, or you're violating his consent. If you talk about his personal private experience. So this last visit with Arnaldo, I tried to get that consent. I printed out my episode outline, stuck it in my gear bag. I wanted to make sure he was at least informed of what I was going to say here. This went terribly. MRS: With the traumas that he’s been through, his defenses are super high. So he cannot differentiate anymore who doesn’t wanna hurt him and who does. Miriam tried to warn me on the way over that it might not work, reminded me I had her and Gladys’s consent. MRS: With us, we would never expose Arnaldo into something that is not dignified. Otherwise we wouldn’t be in this battle in the first place. We want Arnaldo to be treated as a human being. And unfortunately, if it takes this means of the media knowing what happened, we have to. Because this is raising awareness of what happened with Arnaldo. But I still wanted to talk to him about it. I wasn’t sure what kind of response he could give me that would feel like true consent, but I at least wanted to give him a chance to hear what I was going to say about him in this podcast. Didn’t want to leave him in the dark. So after he’d been watching YouTube for a while, sprawled out in the group home living room, I went for it. AQ: Arnaldo, is it okay if I talk to you a little bit about what I’m doing? And you don’t have to say yes and you don’t have to give any special response okay? AQ: I wanted to tell you about the story. It’s the cry he uses to signal he wants something to end. Like this line of questioning. GS: That’s okay that’s okay. GS: Is okay. You want to watch the TV? Let me sit here. I’d tried this on my first visit, when I tried to inform Arnaldo about what I was doing with the microphone, didn’t get very far. But making sure I had Arnaldo’s consent, that was something I’d been thinking about almost daily since Lydia and I had talked. It bothered me, that I had no other justification than Arnaldo’s disability for doing this story without his explicit permission. And doing something just because Arnaldo is disabled, I didn’t want to be one more person in his life using that excuse. So, I left him alone with his YouTube for twenty-four minutes, then tried again. Tried using a lighter voice, to sound less threatening. AQ: Arnaldo, Arnaldo. I'm going to tell your story, OK? AQ: There's gonna be some good parts and some bad parts but I want to show — I want to show you. Kay? You hear the mic bump as Arnaldo takes both hands and grabs my wrist that holds the microphone. Pushes it away. It’s not that I had any actual fear for my safety in that moment, but my heart definitely fluttered. He’s a grown man who suddenly grabbed me. I’m scared Arnaldo’s given me a signal, not the one I was hoping for. My interest in this abstract thing I want to get across, just doesn’t hold a candle to the opportunity to get to watch what he wants on YouTube. I’m trying to ask permission from someone who’s spent most of his life not getting a say in what happens. And in this actual moment he has in his hands one very direct way of getting agency — the smartphone with YouTube at his fingertips. Clearly, I still made this podcast. I think it’s an important story to tell, that not enough people are aware of what happens to folks like Arnaldo, all across the country, how developmentally disabled people get treated behind closed doors. And I have Arnaldo’s guardians’ permission, I’m legally above board. But how can I be sure Arnaldo wants this? The truth is I don’t know. Which brings me to the third thing that’s stuck with me here. Beyond the strength of this family, beyond the work involved in figuring out a nonspeaking person’s desires. And that’s this: When people can’t decipher what a developmentally disabled person wants, can’t tell what the person’s gonna do, there’s an urge that comes in. To limit the possible outcomes. The urge to enforce control. Thomas Ware: One of the worst tactics that happens with this community is when you're not able to understand them. You're often, often what people do, they try to make them fear them. Thomas Ware, the services coordinator with APD, says he’s seen this first hand with disability services providers. TW: It's like they want to put fear into them to where they can kinda control them better. I've seen that before. Jennifer Mathis: You know, I think we’ve had long issues around control and coercion in our disability service systems. Jennifer Mathis, the lawyer with the Bazelon Center for Mental Health Law, first brought this up. JM: And I think again, you know, that is something that in part really stems out of large institutions. I think it’s hard — those settings are chaotic and they’re difficult and it’s hard to manage settings with very large numbers of people. Ari Ne’eman said something about this back in episode two, that’s really colored how I thought about all this. Ari Ne’eman: In the big waves of deinstitutionalization, we worked to bring people out of these large buildings where someone else controlled every aspect of their life and shifted them into small buildings, where all too often, someone was still controlling every aspect of their life. No one asks Arnaldo what he wants, if the choices they’re making for him are okay, instead people assume they know what’s best for him. And that they need to ensure that control with drugs, limits on where he can live, physical restraints. Which gets to the fourth and last thing that’s stuck with me most after all this time in Arnaldo’s world. A warning here: if you’re particularly sensitive to violence, violence against disabled people, I’d skip three minutes ahead. Another Carlton Palms client, a man named William Lamson, was supposed to be Arnaldo’s housemate at the new group home. Was also supposed to get out of Carlton Palms. But before he could, something happened on March 1st of this year. Willy was known to sometimes hurt himself, so his doctor had ordered that he wear a wear a protective helmet at all times. At 1:07pm that day, Willy was in a common room when his one of his direct care staff asked Willy to take his medicine. Willy refused, got up. The worker shoved Willy, then ripped his helmet off. The helmet he had doctors orders to wear. The man held it out to taunt him, used it to get him to follow him in and out of a bedroom. For thirteen minutes, the worker and Willy are alone in the bedroom — lights off, no surveillance video. Then the worker comes out. Alone. Calls for Carlton Palms’ nurse. Willy had been aggressive he said, had come at him. They try CPR, a defibrillator, then radio a supervisor to call 911. 911 Dispatcher: 911 do you need police, fire, or ambulance? Man: Uh, I need ambulance. The caller gives a very deliberate account. Man: We are a residential facility that serves special needs individuals. One of our individuals was engaging in some self-injurious behavior by headbanging on the floor and the wall and other surfaces and has passed out, from that. 911 Dispatcher: And is the patient male or female? 911 Dispatcher: Is he awake just to confirm? Man: At the time I got notified to call 911, no, he was not. 911 Dispatcher: Well help is on the way as requested if he gets worse in any way call us back for further instructions. 911 Dispatcher: You’re welcome, buh-bye. The ambulance arrives, does CPR. But Willy was pronounced dead at the hospital. Willy’s autopsy came back in April. He’d died from “traumatic asphyxiation.” Blunt force to the chest or neck. Not head banging like the employees reported…The Florida State Attorney’s office is now looking into his possible manslaughter charges. What strikes me here, besides just how awful this is, and also how unsurprising given what the state knew about oversight at Carlton Palms, is just how arbitrary it was. Willy was a man in a similar position to Arnaldo, he just didn’t get out of Carlton Palms as quickly. He may have just pissed off the wrong staff member, that staff member may have just come to work in a bad mood that day, blew that off on Willy. And however he did that may have lead to Willy’s death. It all echoes just how arbitrary what’s happened to Arnaldo is. When, on July 18, 2016, a passerby mistook his toy truck for a gun. And that sent him into a two-year spiral. When people hold such little power over their own lives, their lives are vulnerable to the smallest details. After Willy’s death, Florida’s Agency for Persons with Disabilities made an announcement. They were taking action. They’d filed another complaint against Carlton Palms, levied a $10,000 fine — the maximum allowed. And they recommitted to shutting Carlton Palms down by next year. WFTV Clip: Carlton Palms in Mount Dora was previously under investigations following abuse allegations and following the death of a patient. The Florida Agency for Persons with Disabilities says so far 44 persons have been transitioned out of Carlton Palms, and there are more than 100 left. So Carlton Palm’s parent company Bellwether tried to call Florida’s bluff. The CEO wrote in an email to APD, that if the agency didn’t agree to Carlton Palms’ terms for how clients should “transition” of out of the facility, they really would close, right away at the end of May. But this time APD didn’t back down, it placed another company in charge of Carlton Palms closure. The problem? There’s not enough group homes in Florida to take the remaining clients left at Carlton Palms. 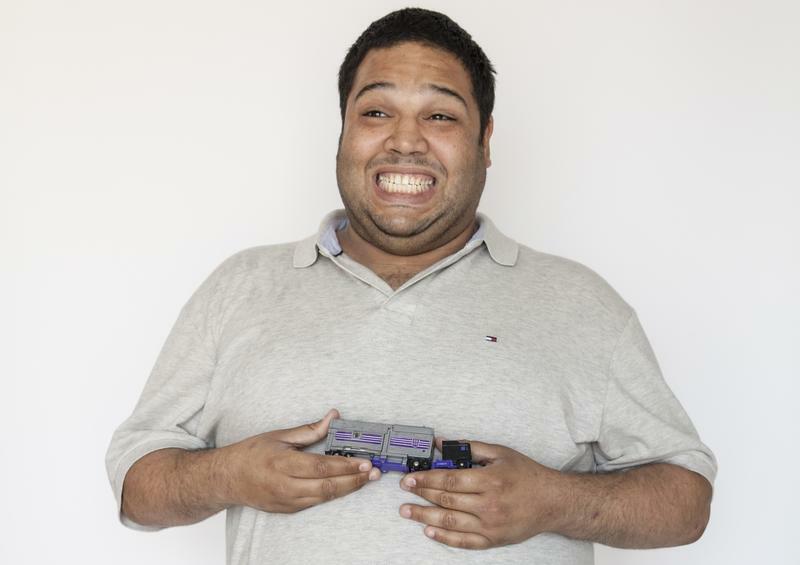 If reporting on Arnaldo has taught me anything, it’s how invisible developmentally disabled adults are in this country. And how the systems to quote-unquote support them reinforces that isolation. That can look as extreme as warehousing people in remote places like Carlton Palms and Tacachale, but there’s seemingly well-intentioned stuff too, like special employment programs that segregate autistic workers. This can look like police departments that reinforce the idea that it’s not safe for an intellectually disabled man to be out in his own neighborhood. The way the North Miami Police Department tried to blame the shooting on Arnaldo. And I’ve also seen, how deadly that invisibility can be. MRS: Not everyone is against us. There’s actually people out there that really wanna help us out and they wish Arnaldo the best. They’re not tying their hopes to this new group home. But they do believe that maybe this place, maybe these people, really want the best for him. As the afternoon goes on, Arnaldo continues with YouTube on Miriam’s phone, Miriam and Gladys chat with the behavioral assistant woman. And finally, everyone just seems comfortable. It’s time for me to catch my flight back to New York. AQ: Alright. No more questions, Arnaldo. I'm going to say goodbye. GS: Say, “Bye” to Audrey. He flashes a big corny grin. I don’t know what’s going to happen next to Arnaldo. Nobody does. But I know he’s still subject to the arbitrary, to the power of random perception. As I go to leave, the behavioral assistant mentions, “You know the staff has a name for him here.” I’m reminded of how he had a nickname before, at the Miami group home I’d dropped in on. The Cannibal. She tells me, they call him “Cheese.” Because of that smile.